Late mandarin jam, which takes this name for its delayed ripening than other citrus. The fruit is harvested in March. 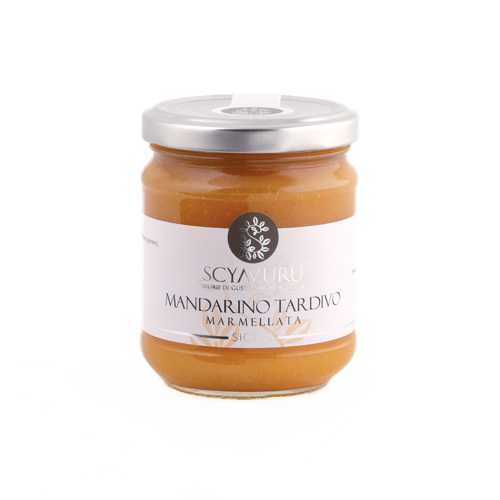 Ingredients: Late Mandarin, sugar, gelling agent (pectin), acidity regulator (citric acid). Fruit used 65 g per 100 g of product. Total sugars 45 g per 100 g of product.